This is a comprehensive collection of readings from the work of Theodor Adorno, one of the most influential German thinkers of the twentieth century. 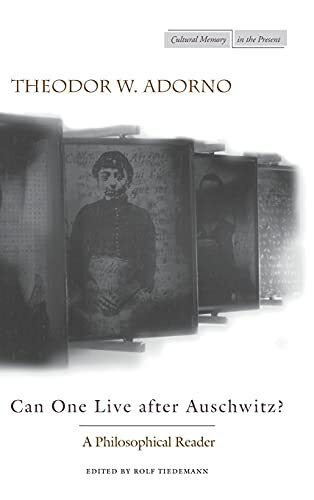 What took place in Auschwitz revokes what Adorno termed the "Western legacy of positivity," the innermost substance of traditional philosophy. The prime task of philosophy then remains to reflect on its own failure, its own complicity in such events. 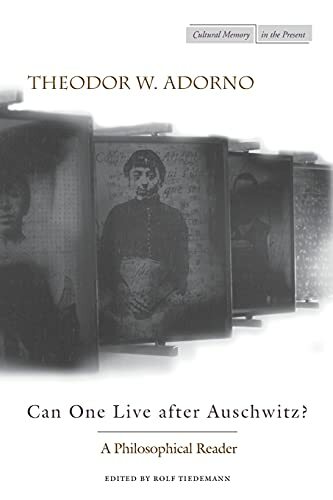 Yet in linking the question of philosophy to historical occurrence, Adorno seems not to have abandoned his paradoxical, life-long hope that philosophy might not be entirely closed to the idea of redemption. He prepares for an altogether different praxis, one no longer conceived in traditionally Marxist terms but rather to be gleaned from "metaphysical experience." In this collection, Adorno's literary executor has assembled the definitive introduction to his thinking. Its five sections anatomize the range of Adorno's concerns: "Toward a New Categorical Imperative," "Damaged Life," "Administered World, Reified Thought," "Art, Memory of Suffering," and "A Philosophy That Keeps Itself Alive." A substantial number of Adorno's writings included appear here in English for the first time. This collection comes with an eloquent introduction from Rolf Tiedemann, the literary executor of Adorno's work.